For a detailed breakdown of all school events for the week ahead, including all revision and extra-curricular events, please download our latest weekly bulletin. To find out more about our varied activities and clubs on offer please click here. All Year 11 students are expected to utilise this program as part of their revision strategies. 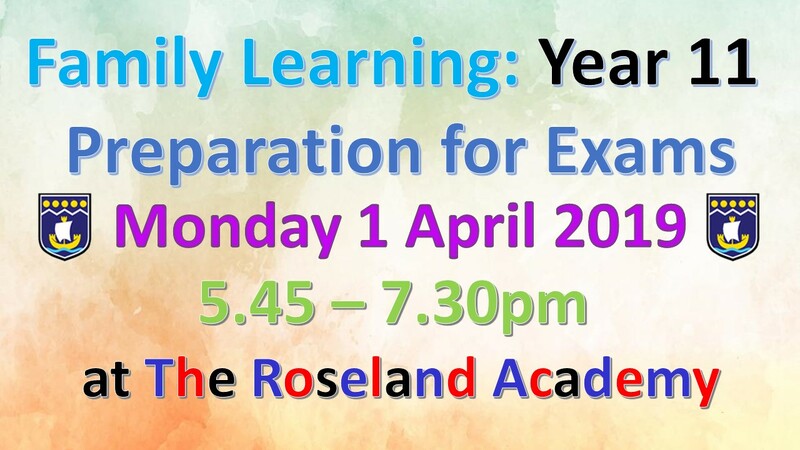 On Monday 1 April from 5.45 – 7.30pm, a Year 11 Exam Preparation Family Learning Session will take place at The Roseland Academy. To behave appropriately and sensibly during social times in all areas of the school. Schools within The Roseland Multi-Academy Trust work together on a wide range of developmental projects which innovate, develop and improve standards and opportunities for students of all three schools. 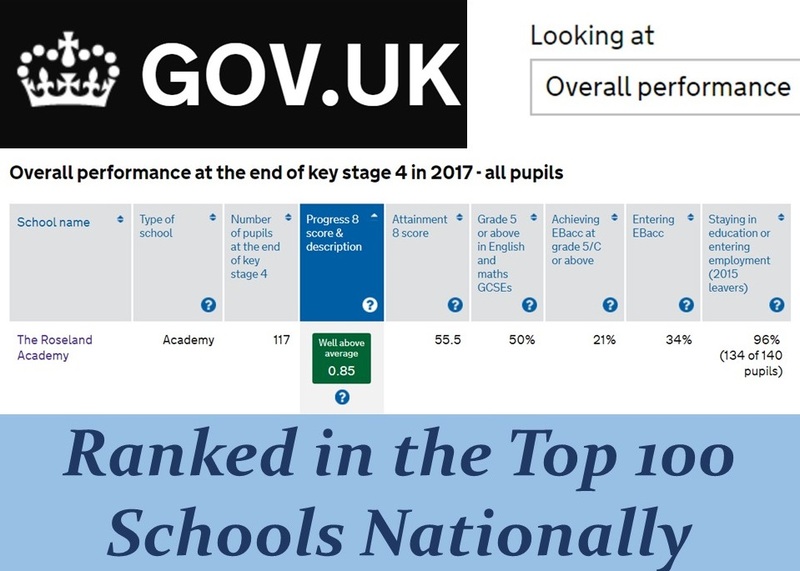 As of 2016, The Roseland Academy is the highest performing state school in Cornwall, and one of the leading schools in the South West. With a fantastic team of staff, we nurture, challenge and inspire every child to reach their potential. We are an aspirational school that provides a broad and balanced curriculum matched to our students' needs. 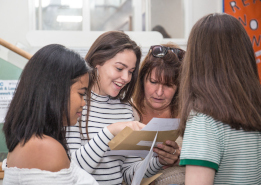 We achieve academic success as well as developing students' emotional and social wellbeing through an exciting and varied school programme. We hope all of you are having a restful and enjoyable Easter. We look forward to seeing everyone back at school on Tuesday 23 April. Our closing date for applications for the part-time Farm Technician vacancy is tomorrow. A reminder of the Year 11 Easter revision sessions that are taking place this week. We hope that all Year 11 students are utilising their time effectively over the holidays. Just in case this is of any interest to any students at The Roseland Academy, Falmouth Sail Training have an Open Day on Saturday 13 April. Please find below the Year 11 revision sessions that will be running over the Easter break. This has been sent home via email which included the sign up sheet. We hope that all Year 11 students utilise their time effectively over the holidays. Happy Easter from all of us at The Roseland Academy. Even Toffee is relaxing after an extremely busy term.